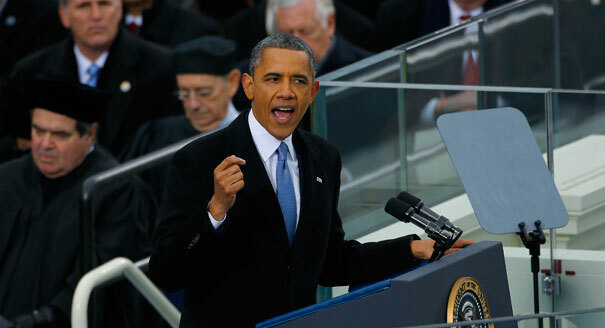 First and formost, congratulations to the president on his second inauguration and the start of his second term. The past four years have been tumultuous and were filled with numerous political battles, unexpected disasters, international crisis’ and incidents, and the slow reemergence of the nation’s economy following the financial crisis of 2008. With that in mind President Obama’s first term must be graded as incomplete due to the fact that it will take several years to see what the tangible impact his policies and efforts will eventually lead to. Many of his policies, primarily Obamacare, will begin to take effect in the upcoming years as well as the change in our global engagement. The ending of our two wars, the Middle East in the aftermath of the Arab Spring, Iran’s nuclear ambitions, and our shifting focus to the Pacific all make the next four years on the world stage very interesting. David Brooks, of the New York Times, clearly and forcefully makes a case for what a “moderate” is in this great article. With the election coming up this week, and with months of campaigning by both candidates, the one word that has been used, and more often than not misused and abused, is moderate. Candidates are known for campaigning to their bases during primaries and then campaigning towards the political center during general elections. That common notion is that of as candidates become “moderates” for the general population. However, moderate is NOT someone in the middle, when referring to a moderate, a true moderate, which most pragmatic people and Americans really are. First, let me describe what moderation is not. It is not just finding the midpoint between two opposing poles and opportunistically planting yourself there. Only people who know nothing about moderation think it means that. Moderates start with a political vision, but they get it from history books, not philosophy books. That is, a moderate isn’t ultimately committed to an abstract idea.